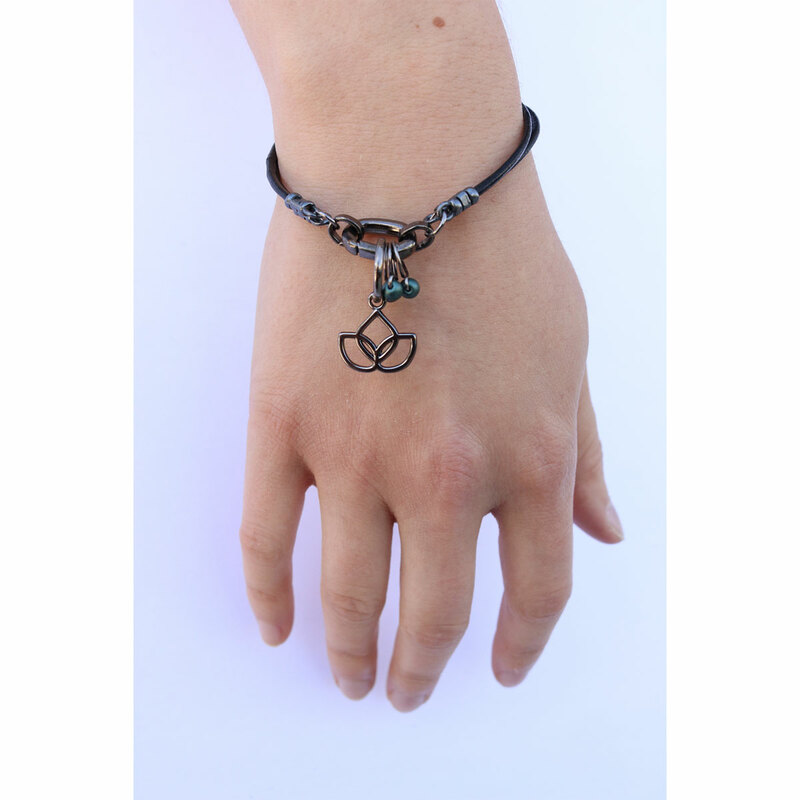 You can also view all Heidi and Lana Stitch Marker Bracelets. 1 bracelet with a double leather strap, 1 stich marker with the Namaste lotus, and 3 glass bead stitch markers contained on an oval clasp. Stitch markers will fit up to size US 8 (5mm) knitting needles. I love having a way to keep stitch markers on hand, but this bracelet is so hard to put on and take off. I have wowed people before with my ability to put on even the most difficult bracelets, but this one has defeated me. If you have any trouble with bracelet clasps, good luck. I was thinking of switching out the clasp with a magnetic one, but it sounds like a previous version of this product has magnetic clasps and it was problematic. By knittingdeb on Apr 22, 2019 (read knittingdeb's 4 other reviews) Product reviewed: S/M Gold - Tomato No comments on this review yet. Perfect way to keep stitch markers with you! Makes a cute bracelet as well!!!!! By Deariedolly on Apr 15, 2019 (read Deariedolly's 8 other reviews) Product reviewed: S/M Silver - Chocolate No comments on this review yet. By Deariedolly on Apr 15, 2019 (read Deariedolly's 8 other reviews) Product reviewed: S/M Silver - Midnight No comments on this review yet. I loved this bracelet! I wore it out shopping and the magnet clasp came undone because it stuck to the shopping cart. I lost all of the stitch markers. I agree with another reviewer that the clasp needs to be a lobster claw clasp or something that will not come undone so easy. 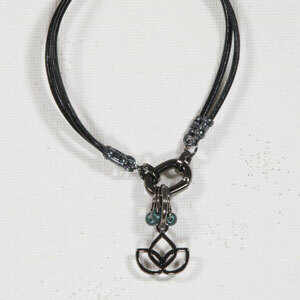 I would buy another one if they switched the clasp. You guys, I loved this bracelet so much and wore it everyday. The delicate stitch markers and the thin supple leather were just the perfect combo for my “I care, but not very much” style. I added more stitch markers and switched them out cuz it was fun and my favorite. But then I lost it. : In a favorite things miracle, my coworkers found it in the parking lot! Down a couple of stitch markers, but still. However, I stopped wearing it. I’d caught it in my sleeve a couple of times before that so I was sort of in denial about how much my bracelet was trying to leave me. I put it on this morning and had a full-on discussion about how wearing it to the museum was a terrible idea, but I ignored my sage advice and I hope whomever finds that bracelet loves it half as much as I did. PS: If there were a lobster clasp option, I’d replace it in a heartbeat. Every person I gave the bracelet to for Christmas said I knoced it out of the park!!! Really like the bracelet!! The only problem is when you are putting it on or taking it off you have to be very careful not to loose the stitch markers! I gave this to my best friend for Christmas and she absolutely loved it! Highly recommended!